They may believe that the language is too difficult, they don’t think their product will sell, or they think that postage is tough. However, we’ve put our myth-busting gloves on and are ready to show you why these issues are not only false, but it is also costing you money! This does cause problems for a lot of people, but it lies in the perception of the task at hand, rather than the actual difficulty of translating from English to Japanese. What we mean by this is just because Japanese doesn’t look similar to English, or share the same alphabet, does this make it any more difficult than translating to any other language you don’t speak? Japanese does need to be translated correctly of course, and we have an article all about this here. However, if you don’t know the language then you will have exactly the same struggles as translating into any other language. The fact that Japanese looks different shouldn’t put you off, or make it any more difficult. There’s plenty of help available if you need it, so don’t let the language stop you! Sure, international postage may take a while, but what you’re forgetting here is that you’re probably offering a niche product, particularly if you’re selling British brand goods which sell at a premium and are held in high regard by Amazon Japan customers. So, to your customers, that is the payoff; a niche product for a bit of an extended wait. They’re delighted as long as you’re offering something high quality that they really want. Of course, you have the option to store your products in an Amazon Japan warehouse rather than fulfilling it directly from the UK. While this is a little more complex in terms of getting your products into the warehouses, once there you can offer next day deliveries that Amazon will take care of directly. This is what we have done for Kid Transit (See the big case study here). In this day and age, there’s a technology to solve every problem and that’s the case here. The Rikaichan add-on for web browsers is like having an instant dictionary; hover over words or sentences and it will tell you their meaning in English. It’s useful for getting the gist of what your customers are saying to you, and as we’ve mentioned before, if your product description is good, then most of the time customer service emails will only require a standard response. Misconception 4: Understanding Japanese addresses is too difficult. We’ve encountered some postal workers who say they can’t send off the parcel because they don’t understand the Japanese address written on it. There’s a simple solution to this problem: write “Japan” on your parcel. The post office of your country of residence doesn’t need to know the exact delivery address. As long as they know which country the parcel is being delivered to then the post office will be able to send it. This is one area that Google translate works well, so you can put addresses through it if you want them in the Roman alphabet. We don’t bother though since there really isn’t any need to. Generally though, knowing the postal code in Japan is useful and the post office may want this. This couldn’t be more wrong. 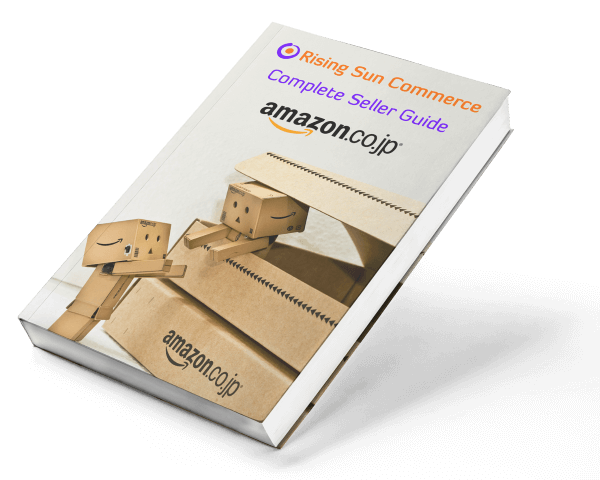 Let’s take a look at the stats: In 2016, Amazon Japan had sales of $10.3 billion, making it Amazon’s 3rd largest marketplace (second only to the US giant – source). Add to this the fact that Japan has a population of 120 million and the 3rd largest economy in the world and we’re sure you’ll agree, it’s a great place to do business. A point I’m about to make is so important I’ll have to reiterate what was said in a previous post. British brands sell well in Japan. Japanese people are interested in British culture and will pay a premium for high-quality British brands. Paul Smith clothing, Triumph motorcycles, Brompton bikes and Trickers shoes all do incredibly well on the Japanese market. As long as you do your research, you’ll be able to find something that sells well, despite differences in cultural values. You don’t have to be a big brand either, as long as you offer quality. Our monocle sales prove this (we sell these for a client), and we sell for 40% more in Japan compared to the UK. B) not really an issue at all(!). Selling your products isn’t stressful or riddled with problems. In fact, it’s actually all pretty straightforward.